Few things are more meaningful than a piece of Custom Design Jewelry—especially if that custom jewelry was created with Gem Stones North Carolina that you found while gem mining during your vacation. There is perhaps no better way to commemorate an occasion than by having a piece of Unique Gemstone Jewelry created by the Custom Jewelry Designers at Facets of Foscoe. Whether you're buying for yourself or looking for the perfect gift for a friend or loved one, Facets can fashion a breathtaking piece of Artisan Gemstone Jewelry for any occasion. Be it Custom Gemstone Wedding Jewelry, a Custom Faceted Fine Gemstone Necklace, or that perfect pair of Custom Handmade Jewelry Earrings, our gemologists and master metal smith can create a piece that is as unique as you are. 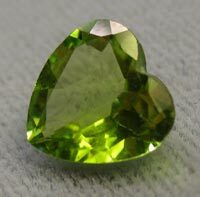 Here at Facets, we work with a variety of stunning stones. Part of our Custom Jewelry Manufacturing process includes enhancing the natural beauty of emeralds, London Blue Topaz, rubies, sapphires, peridot, amethyst, Rose Quartz, Smoky Quartz, White Topaz, Light Blue Topaz, Imperial Topaz, aquamarine, tourmaline, garnet, and citrine. Once we've used our Grinding and Faceting Machines to create Faceting Shapes like Oval, Round Brilliant, Pear Shape, and Emerald Cut, we begin crafting unique settings out of a variety of precious and semi-precious metals. Each piece of Custom Fine Jewelry produced by the master gold smith and stone cutter at our Jewelry Store in North Carolina is as unique as the person who will end up wearing it. In addition to the standard cuts we offer, we provide our clients with custom cuts including marquis, Portuguese, trillion, and heart-shaped cuts, and can produce virtually any kind of abstract or specialty shape you desire. We have a vast selection of Beautiful and Sought After Handmade Jewelry at our shop in Foscoe, NC, but if you can't make it to our area, feel free to browse our online jewelry display to learn more about the different items we offer. All of the Handmade Gemstone Silver Fashion Jewelry as well as our gold jewelry is Custom Design Jewelry created on site by the Custom Jewelry Designers at Facets, and each piece promises to delight with its expertly cut Gem Stones North Carolina and beautiful handmade settings. Whether you're searching for Colored Gemstone Jewelry, Affordable Gemstone Jewelry, Silver Gemstone Jewelry, or Custom Gemstone Wedding Jewelry, Facets has something for you! Call us today, browse our site, or come into our store to learn more about what we have to offer.